Low sulfur mandates by the EPA implemented in 2006 had unintended consequences. The mandate was intended to reduce air pollution. Today there are fewer greenhouse gases but a new problem surfaced, microbial contamination. Sulfur is an element abundant in nature. It is also a by-product of the refining process. By its very nature, sulfur is antagonistic toward microbes. Before the mandate there was high enough sulfur to keep much of the microbial activity from occurring. The near absence of sulfur today enables colonies of microbial growth in nearly every fuel tank. The United States exports more diesel today. As a result, the refineries based in this country are producing diesel fuel that is 10 ppm sulfur or less due to the European standard. Lower sulfur – more bugs! Recent studies show tested diesel fuel sulfur content as low as 8 ppm, well below the EPA mandated 15 ppm. While we have been referencing diesel fuel so far, gasoline also has lower sulfur. This should be noted, as microbial contamination is a problem in both diesel fuel and gasoline. Lead – a natural biocide – has been removed from fuel compounding the problems associated with microbial contamination. While refiners add biocides, they do not do the job that both sulfur and lead did. In 2005 the EPA enacted the Renewables Fuel Standard mandating the use of bio-blended fuels. 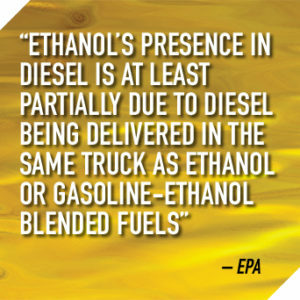 It established ethanol’s mandatory blending in gasoline creating what we now call E-10. Today there are blends up to E-85 on the retail market. It also provided for biodiesel blending, allowing up to 5% biodiesel in conventional diesel without any labeling. Ever since the standard was enacted, the auto and petroleum equipment industry have been racing to find new ways to handle the problems associated with both. Ethanol has contributed in two ways to the problems. First, it is hydrophilic, which means it naturally attracts water. Second, it is a food source for microbes. When water enters ethanol blended fuels, it is absorbed by the ethanol and becomes suspended. 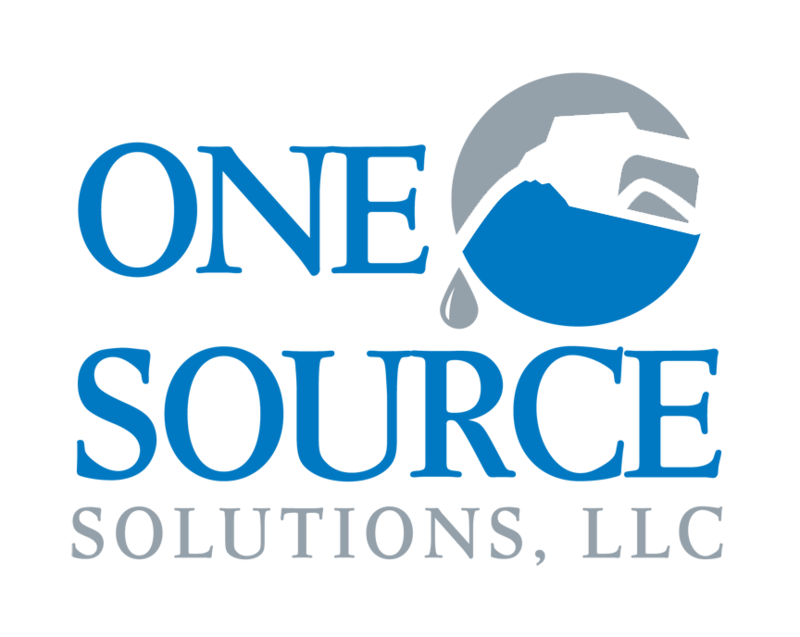 Unlike conventional gasoline, water does not settle out. It is drawn into the fuel and bonds with the ethanol. How fast water is absorbed depends on the rate of water flow. When ethanol blended fuel reaches a saturation point – approximately .5% water to fuel mix, a separated layer will form on the bottom of the tank as the bonded ethanol and water drops out of the fuel. This is known as phase separation. Alternately, a process known as partial phase separation can occur with considerably less than .5% water. The ethanol and water mix create the perfect breeding ground for microbes. Since ethanol is also a food source, it fuels microbial growth. So when water and ethanol bond, they provide the perfect environment for rapid microbial reproduction. 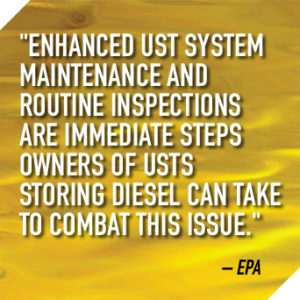 The EPA reports that "diesel blended with biodiesel can hold in solution more water than diesel without a biodiesel component." Many deliveries of diesel include a biodiesel blend. This means you are more than likely receiving water suspended in your fuel. The biodiesel is also a food for microbial growth. Again, a perfect environment for microbial reproduction. Cross-contamination is an added problem helping to create the perfect storm. It occurs within the transportation system. There are few dedicated fuel transport trucks leaving little doubt that at the very least trace amounts of cross-contamination happen with most every load of fuel delivered. Additionally, if the delivery driver does not drain each compartment of his tanker truck, more than just a trace of contamination could occur with the delivery of fuel.